The machine is customized and certified with CE. 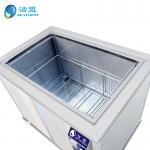 If need, rising tank or drying tank is optional based on customer's needs. clean, also can clean electronic parts. No damage to object surface and improve cleaning efficiency. With pneumatic lift to up and down goods. Q:How about after sales services? 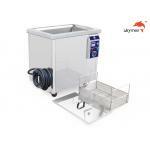 A: 1 Year warranty for Skymen ultrasonic cleaner. If any technical problem during warranty time, replacement parts will be sent free of charge. And technical support is also available after 1 year. 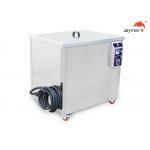 SKYMEN, a leading manufacturer of ultrasonic cleaner, with the goal of “To pursue top quality, to make our world clean and life health.’’ , has been developing ultrasonic cleaning technology since 2007, sells its ultrasonic products in Europe, China , United States of America, all over the world. 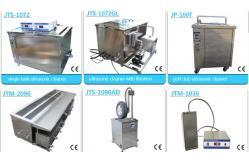 Thanks to its expertise in production of ultrasonic cleaner, the company’s products are well received in those markets. 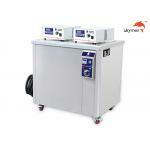 For more than ten years SKYMEN has been developing a wide range ultrasonic cleaner, included household ultrasonic cleaner for beauty shop, table top ultrasonic cleaner for medical industry, science and lab, university, government military firearm gun cleaning, 3D printing, electronic circuit cleaning, dental clinics and tattoos instrument cleaning and sterilization; industrial ultrasonic cleaner for auto repair , diesel workshop, automotive industry, marin industry, restoration after fire disaster, machining industry, manufacturing industry, diamond jewelry industry coin cleaning, brass part, metal part, aluminum part cleaning. Now Skymen owns factory 8000 square meters; independent Sales office 1600 square meters and Warehouse 1000 square meters. 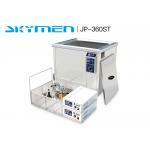 Skymen also owns a professional R&D team to keep the pace with international ultrasonic technology. A passionate and young sales team sell to the world through different channels. We hope everyone or enterprise who work with skymen will grow up with Skymen, Skymen looks forward to working with you to create the brilliancy!